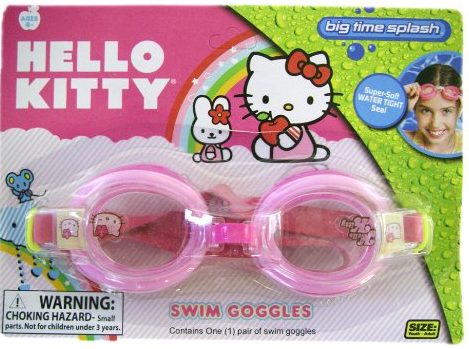 Hello Kitty Swim Goggles Only $4.27 PLUS FREE Shipping! You are here: Home / Great Deals / Amazon Deals / Hello Kitty Swim Goggles Only $4.27 PLUS FREE Shipping! If you have a Hello Kitty fan or if you are one, your should get these Hello Kitty Swim Goggles for Only $4.27 PLUS FREE Shipping! These swim goggles are perfect for the warm sunny days and all the swimming fun that is coming up this summer! Get yours NOW!